Asian capital continues to pour into London as UK leading property consultancy Allsop forges an alliance with Hong Kong based property firm Millennium Group. The alliance will strengthen Allsop’s reach across Asia, including mainland China, Hong Kong and Singapore, and gives Millennium Group a formidable team in the UK with expertise across all of the main property sectors. The move comes as the UK market saw more than £60bn of commercial transactions in 2017, of which £20bn was in central London, with almost half coming from Asia. Demand from the region for London property in 2018 has continued to remain high, with Asian buyers reported to have invested £3.1bn in City offices in first half of this year – £300m more than the first six months of 2017. 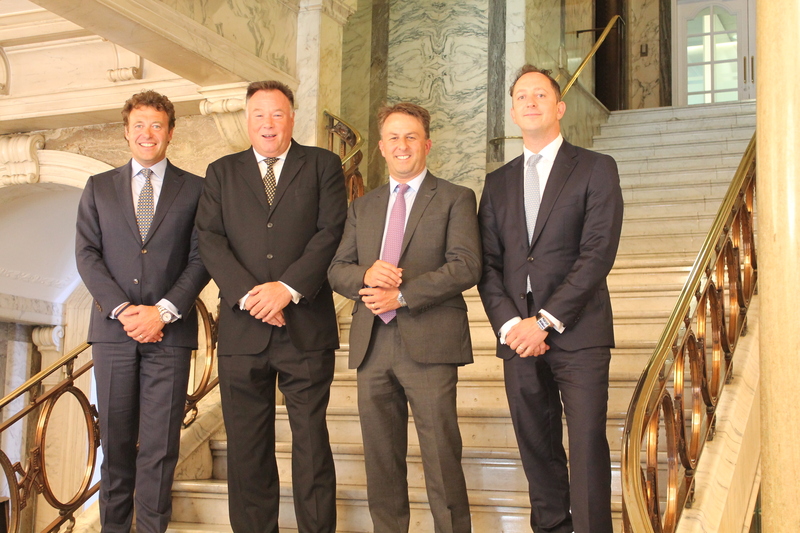 The joint venture will be headed by James Abrahams and Nick Pemberton, both partners in commercial investment at Allsop and Martin Kaye at Millennium Group. The companies concluded the first deal to exchange in London post the EU referendum result – the £70m Kings Cross Royal Scot Hotel transaction. The new alliance will primarily focus on UK-Asia transactions in the London capital markets and offering full downstream services to Asian investors including asset management, office leasing, rent reviews, development consultancy, buy-to-let residential, commercial and residential auctions and valuations. Millennium Group, established in 1999 in Hong Kong, is an investment advisory and development company with an extensive network of capital sources across Hong Kong, China, Singapore, Korea, Taiwan, Japan and Malaysia. Its investor base includes HNWIs, institutional investors, developers and sovereign wealth funds. Millennium Group has a proven track record of sourcing, acquiring, managing and maximising institutional grade property in prime international markets, concluding £1.4bn in the hotel, office, retail and residential sectors in UK since 2013. Allsop is appointed to sell a number of high profile London assets and a key focus will be securing further retained instructions from London owners for the Millennium team to sell in Asia.